If only it were that easy. Johnnie Walker does make you do some incredible stuff, but to play the hand of god is something out of its grasp. Marc Herremans, a Belgian triathlete paralyzed from the chest down is featured in the inspiring video below. In an out of body experience, Marc stands up and looks himself in the eyes and says "When reality changes, your dreams don't have to". 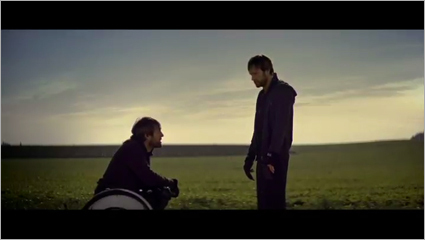 Quite an inspiring spot, and a rather clever approach to use Johnnie Walkers "Keep Walking" campaign as their main idea. Well played! Now let's hear what you had to say!